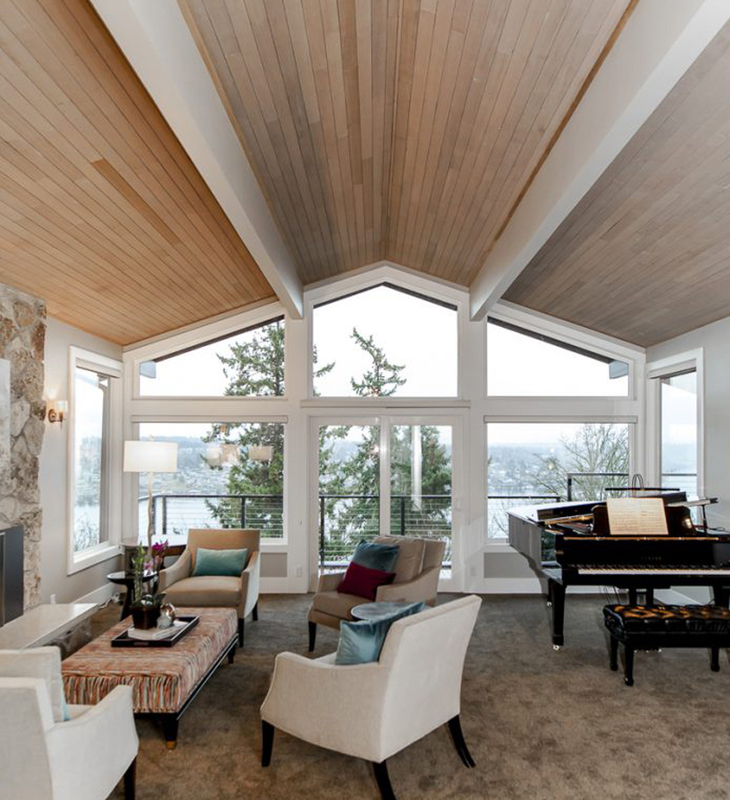 Six Walls Interior renovated a 3,500-square-foot home on Mercer Island to reflect the homeowner's love of entertaining. With jam sessions and cooking gatherings a weekly occurrence, the open layout needed to be both beautiful and functional. The result is a stunning, mid-century modern dwelling that houses creative memories. 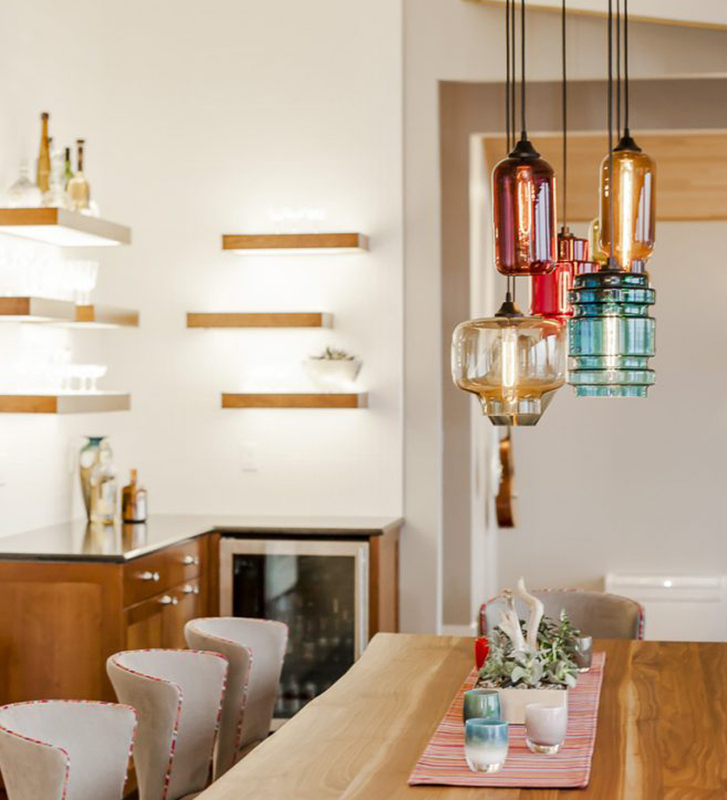 A cluster of unique and colorful handmade Niche pendants hangs above the dining room table. 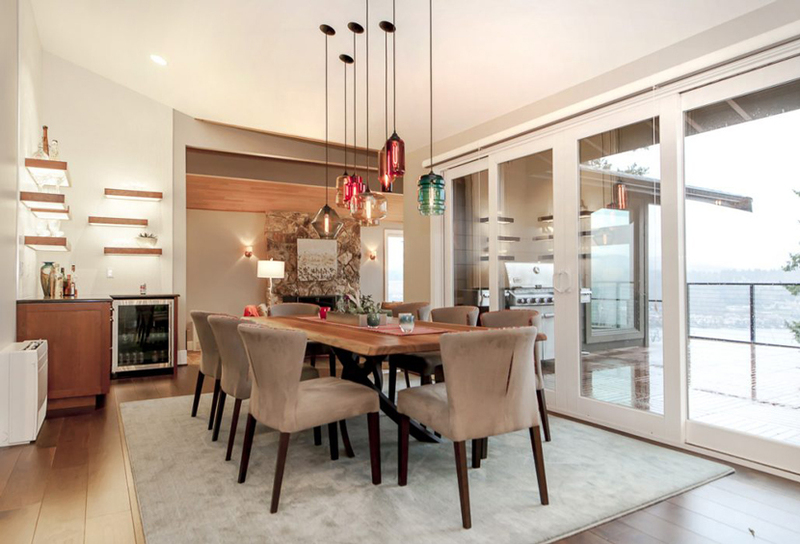 Here, a Condesa Delinea, Smoke Oculo, Gray Trove, Plum Helio, Chocolate Pharos, Rose Axia, and Amber Pinch create a focal point on the main floor and stand out against an otherwise neutral palette. 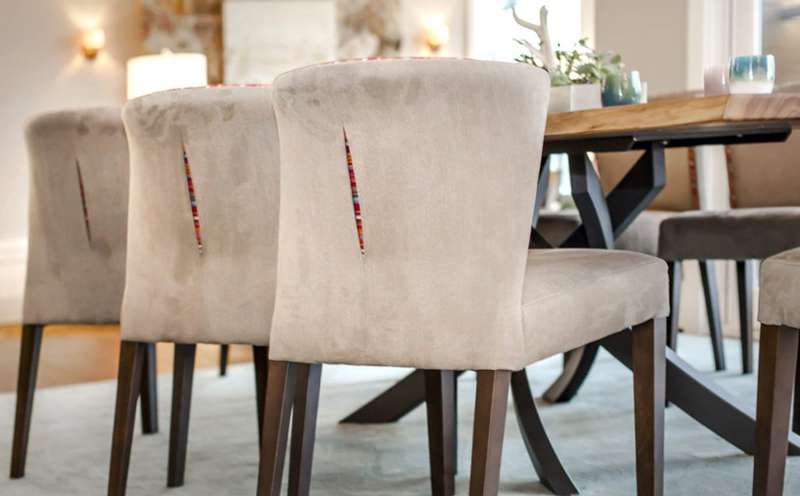 These same accent colors appear in the detailing of the dining room chairs.